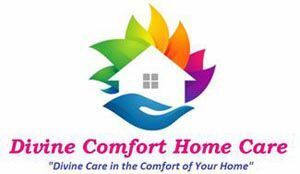 Divine Comfort Home Care offers a full continuum of care for Pediatric to Geriatric clients. Help is 24 hours a day, 7 days a week to conform to the clients needs and preferences. No matter where you make your home, we bring the care that's right to you. Our professional teams and caring committed caregivers help improve the quality of life, allowing our clients to age gracefully and more independently. Custom Care Plan - We you call us we'll ask questions to form a basic needs assessment, then set up an in-home visit. After our initial meeting, we develop a Custom Care Plan tailored to your specific needs, and make detailed recommendations on services. We review the plan with you in detail and modify it as you see it. Caregiver Matching - Once you approve the Custom Care Plan, we match you with the most appropriate caregiver possible by considering numerous factors: services needed, interests, and the personalities of both caregiver and client. Of course, if you ever have any concerns about a specific caregiver, we can promptly arrange a replacement. Quality Care - Every caregiver goes through an extensive interview process, including background and reference checks. Caregivers are trained and bonded/insured before ever caring for a client. A supervisory staff visit our clients home periodically to ensure things are going well and that caregivers are following the specifics of the Custom Care Plan. DivinePeople - The personal care of a friend with dedicated local owners and trained, committed and compassionate caregivers. DivineServices - The care you need when you need it with a wide range of services and flexible scheduling. DivineApproach - A personalized Care Plan managed by professionals with caregiver matching based on a thorough assessment. DivineMission - Home care services that will meet the social, spiritual, emotional and physical needs of clients and families in the community.